Building a native salesforce.com app can be confusing. We’ll create your roadmap from beginning to end on how to successfully convert your ideas into a 100% native app on the Salesforce.com stack. The Appexchange standards are high and it continues to go up. One of the keys to success is ensuring your native app meets the Salesforce.com standards to ensure you get on the Appexchange the first time. 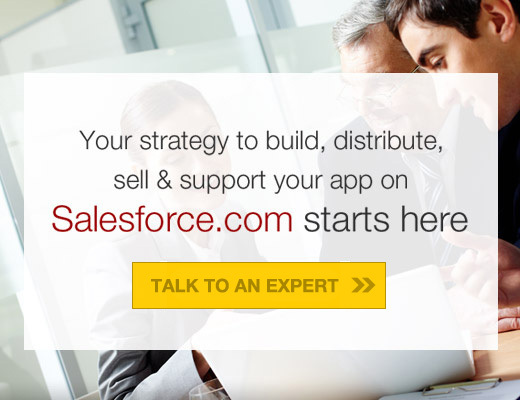 How will your Sales & Marketing, Support and Product Team align to Salesforce.com? As Salesforce.com continues to evolve, we’ll ensure your team is setup for ongoing customer success and adoption. Gordyn Services is a team of Salesforce AppExchange experts. We specialize in helping companies with their Go-to-Market Plan, Product, Sales, Marketing and Support strategy. Our services are complimentary to other System Integrators. It’s not just about building an app, it’s about having a plan that will ensure alignment between the different lines of business in your company and Salesforce.com. We’ve helped start some of the leading AppExchange companies in the market today. Our clients have grown to over 120 clients in 14 countries in an average of 18 months. Salesforce.com is a big company now and we “live, eat and breath with them”. We know the Salesforce.com Sales Channel inside and out. Companies like yours can’t afford to make too many mistakes. We’ll make sure you navigate through the potholes successfully. Gordyn Services was able to provide us with better insight and actionable steps we needed to help us increase our exposure within the Salesforce Eco-system. If you’re a current or new ISV in the Salesforce Eco-system, the team at Gordyn Services will enable you to hit your sales and marketing goals!